Why is it so impossible to get a relationship between two middle-aged misfits to work? 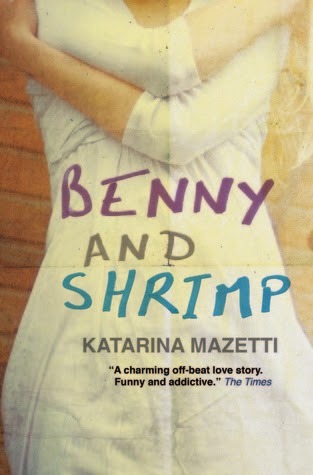 The answer lies in the story of Shrimp, a young widowed librarian with a sharp intellect & Benny, a gentle, overworked milk farmer who fears becoming the village's oldest bachelor & an unlikely love that should not be as complicated as it seems. Honestly, I wasn't even going to bother to review this one because, well, I'm still not entirely sure what I thought of it. It is a very quirky (at least by American standards) book, which is a good thing. I mean, it is definitely unlike other books out there. I will say, first off, that the "official" summary is misleading. Based on that, I was going in to this book thinking I would be reading about people far older than the characters actually were. Perhaps it is just me, but I do not consider early- to mid-thirties to be middle aged. Okay, that being said, I will say that there are a lot of positive things about this book. It is a lighter read, if that is something you are looking for. It is also quite well-written and/or translated from Swedish. There are a lot of little phrases that are interesting--they are probably quite common in Sweden, but were unfamiliar to me. However, I thought that just added to the feel of the book. Benny and Desiree/Shrimp are both very realistic characters--which means that they aren't always likable and, frankly, there were several times when I wanted to knock some sense into one or both of them. I don't feel I can really fault Mazetti for that--after all, that is what a good writer strives to do. Yes, the book was incredibly quirky--in fact, it might be too quirky for some readers. Ultimately, though, I enjoyed the experience of reading this book, even if it left me scratching my head sometimes.